Millennials are on course to defy widespread pessimism about their retirement prospects and enjoy similar levels of retirement living standards to pensioners today, according to a new report published today (Monday) by the Resolution Foundation. As good as it gets? – the 12th report of the Resolution Foundation’s ongoing Intergenerational Commission – looks at retirement incomes over the next forty years to assess whether current and future pensioners will receive an adequate income in retirement. The recent story of retirement living standards has been a successful one as typical incomes have grown rapidly and pensioner poverty has fallen by a third. Despite this success, there is widespread pessimism about the kind of retirement young people today can expect. Polling for the Intergenerational Commission has found that a decent retirement ranks as the second biggest area of concern for young people’s prospects, beaten only by housing. Much of this pessimism is driven by the fall in the share of people with generous defined benefit (DB) pensions, which has fallen from 47 per cent in 1997 to just 29 per cent in 2016. As good as it gets builds on the work of the Pensions Commission – a landmark enquiry whose recommendations in 2006 have reshaped Britain’s pension landscape ­– and uses new data to forecast how retirement incomes will evolve over the next 45 years. The Commission’s benchmark for an adequate pension is that a typical individual should expect a post-retirement income equivalent to two-thirds of their earnings in the pre-retirement years, otherwise known as a replacement rate of 67 per cent . It recommended higher replacement rates for lower income households, and lower ones for better-off households. Contrary to widespread pessimism young people’s retirement prospects, the report finds that millennials are on course to enjoy similar replacement rates in 2060 to today’s pensioners (both 54 per cent ). This is due to a major uplift in private pension saving via auto-enrolment and more women being fully-entitled to a higher state pension. The report cautions however that the relatively rosy retirement outlook is highly uncertain. Tiny shifts in pay growth rates will have a huge impact on retirement incomes. More immediately, much depends on the critical phase of auto-enrolment over the coming years, when minimum employee contributions are increased first to 3 per cent from April 2018 and then 5 per cent from April 2019. The temptation to opt-out of pension saving will grow as the take home pay of a typical employee is set to rise by £1,700 over the next four years if they were they to stop contributing – twice as much as the £850 they would receive if they made the minimum contributions. Increases in opt-out rates from auto-enrolment would significantly lower retirement living standards. The analysis finds that an increase in opt-out rates from their current 20 per cent to 35 per cent would reduce retirement replacement rates for one in five millennials and one in eight people in Generation X. The Foundation says that the government should continue to promote the benefits of auto-enrolment to people’s future income in order to prevent rising opt-out rates. As good as it gets finds that while millennials are on course to enjoy similar retirement living standards to today’s baby boomers, there is a risk that men in the in-between generation – Generation X – could miss out. Typical replacement rates for men are set to fall from 58 per cent for young baby boomers to around 53 per cent for Generation Xers, before rising back up to 56 per cent for millennials. This is due to many of them having joined the labour market too late to enjoy generous DB pensions, and too early to fully benefit from auto-enrolment. 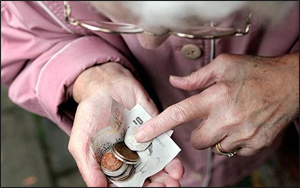 Finally, the Foundation notes that three quarters of pensioners today are failing to hit the replacement rate benchmarks set by the Pension Commission, a figure that is not set to improve over the coming decades. Further radical overhaul of Britain’s pensions system will be needed to get more people up to this benchmark. This would need to include a focus on improving returns to saving, reducing the individual risk inherent in DC schemes, and a greater contribution from government and employers for low and middle earners. “Rising pensioner incomes has been one of the biggest living standards success stories this century. And yet retirement is second only to housing in terms of causes for concern for young people’s prospects. “But these fears are overdone. Millennials are on course to enjoy similar levels of retirement income to today’s pensioners, largely thanks to the success of auto-enrolment in getting them to save into a workplace pension from an early age. “But this rosy retirement outlook for young people is by no means assured. The big risk is that faced with anaemic pay rises, people may choose to stop saving into a pension, rather than face higher contributions. This would provide a short-term income boost, but could prove disastrous for their incomes later in life.